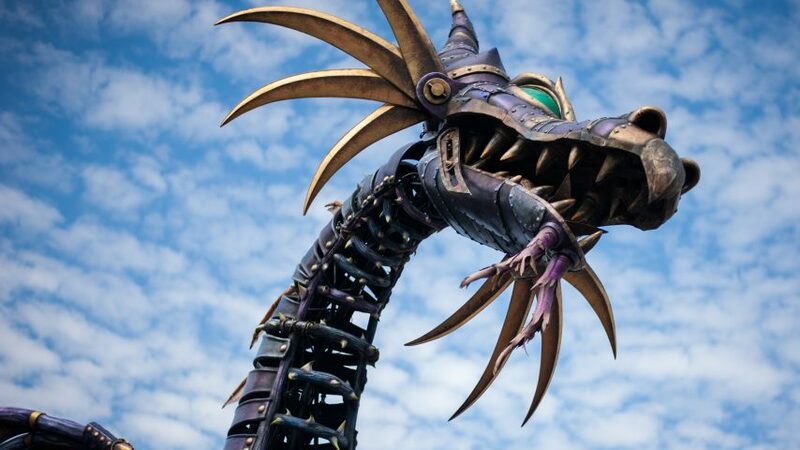 Eight months after catching fire in the middle of a parade, the Maleficent fire-breathing dragon float has returned sporting a refreshed look enhanced with new features to keep her in check while on show. Some of these new features include a completely rebuilt head and neck, and enhancements to the fuel system and body such as additional stop buttons easily accessible around the float to shut down the float and special effects. But don’t worry…Maleficent still has her signature Steampunk style and breath of fire.